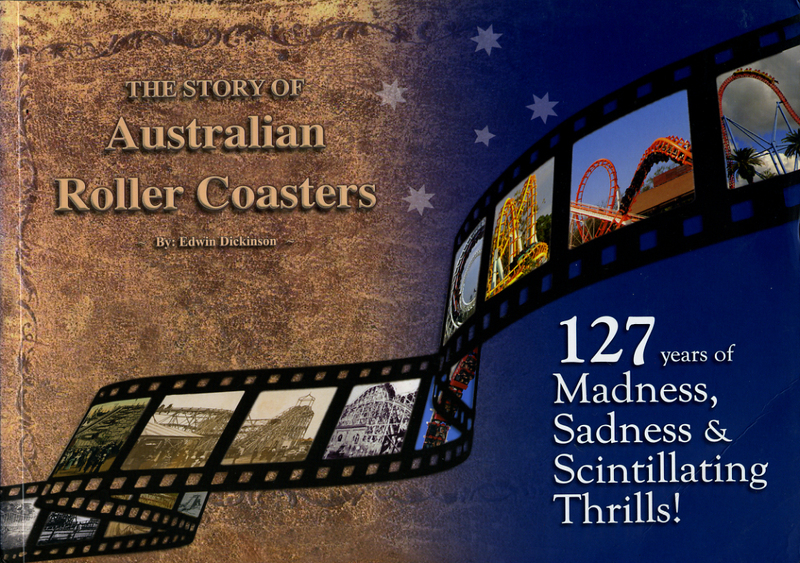 The Story of Australian Roller Coasters is a fascinating history that spans the late 19th, 20th and early 21st centuries. Reading any Aussie newspaper of the late 19th century, you'd discover that people thought roller coasters were a nuisance and were intolerant of them. In 1888 the Executive Commission of the Melbourne International Centennial Exhibition scoffed at the idea of including sideshows and a roller coaster at the prestigious exhibition. Despite the resistance of some local residents, the Executive Commission members voted 3-2 to include a Switchback Railway at the exhibition. It ended up being one of the few attractions that generated income and was the saviour of the exhibition, so the Commission were spared complete embarrassment. During the nine months that the Switchback Railway was in operation, more than 390,000 people enjoyed a ride on it. Here are only a few examples of what you'll read about in this Unique, 127 year Australian History. People who designed our Gravity Railways, Switchback Railways and Scenic Railways. The inspiration New Zealand architect Edmunde Anscombe, who in 1925 saved the New Zealand, Dunedin South Seas Exhibition from disaster. Our Controversial Big Dippers and Wonderland Theme Park, and why they did'nt survive. 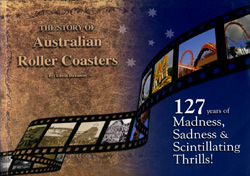 An Interview with Australia's our only roller coaster designer, Phil Hammond, about the Orphan Rocker in Katoomba. A line up of modern day coasters and the thrills you experience on them. A general overview of roller coaster history.